Hospital and community pharmacists are at the forefront of efforts to cut National Health Service spending, a conference heard. But community pharmacy has been thrown into crisis after the government recently announced swingeing cuts to funding. The Healthcare Distribution Association UK (HDA-UK) conference heard yesterday that hospital pharmacists are central to cutting spending by optimising use of medicines, following an initiative introduced in April. Delegates at the conference in London heard from Ann Jacklin, professional lead for pharmacy at the Department of Health’s NHS productivity and efficiency programme, who is spearheading attempts to cut drug spend following recommendations published earlier this year in the Carter Review of NHS services. Jacklin told the conference of the relaunched drug wholesalers and distribution trade body, that far too much emphasis was placed on the list price of drugs, instead of ensuring they were used for the right patient, at the right time. This principle will ensure the system gets better and bring savings, said Jacklin, who estimated that up to a billion pounds could be knocked off the NHS hospital drug budget of around £7 billion. The government expects the NHS to produce around $22 billion in efficiency savings by 2020. “It is not about chasing savings, it will happen if you do the right thing,” said Jacklin. Ensuring multi-disciplinary teams work together will ensure patients receive the right drugs and have better outcomes, she suggested. Sarah Rickwood, director of thought leadership for Europe at IMS Health, said hospitals in England were failing to make savings of up to £70,000 per month by using a biosimilar of MSD’s Remicade (infliximab), a commonly used but expensive drug for inflammatory diseases. As previously reported by pharmaphorum, a hospital in Southampton has managed to save around £80,000 a month using the biosimilar. 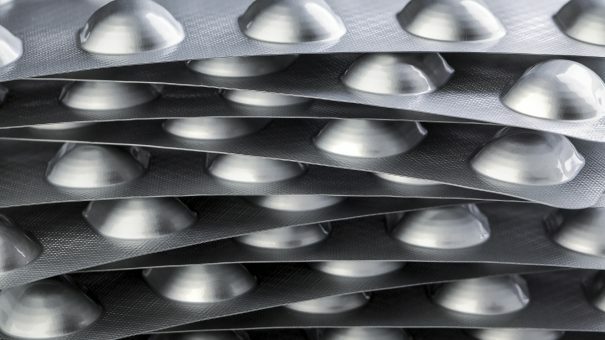 If health systems in the US and EU make best use of these near-copies of off-patent biologic drugs, they could save up to $110 billion by 2020, according to IMS figures published earlier this year. Meanwhile in the community setting, pharmacists are struggling to realise savings after the DH introduced a budget cut around £170 million from a total budget of £2.8 billion late last year. Alastair Buxton, director of NHS Services at the Pharmaceutical Services Negotiating Committee, said the changes had been announced in an open letter without any real negotiation. The body, which negotiates on behalf of pharmacy with the government, had been in discussions with DH since then about how to implement the changes. “It is a radically different approach that the DH has taken, we would not say that this has been a negotiation,” said Buxton. The DH has proposed a raft of cost-saving measures, including allowing independent pharmacies to set up “hub and spoke” arrangements used by larger competitors. “Hub” pharmacies do not deal with patients, and assemble medicines for use by the “spoke” outlets that face patients. However the consultation on this has been botched, said Gordon Hockey director of operations and support at the PSNC, who said consultation documents do not match the stated aims of the exercise.